If you have a question about our service, or are experiencing a problem, please first check the Frequently Asked Questions below. If after this you still need assistance, our UK-based support centre is ready to help you out via phone or email. Call us on 0333 308 0030 or email support@mediaforceuk.com. Follow this link for the Account Management Portal. Click on a tab below to see related questions, and then on a question to see its answer. Does my site have Media Force? Just check out our Locations page to see where Media Force is currently available. 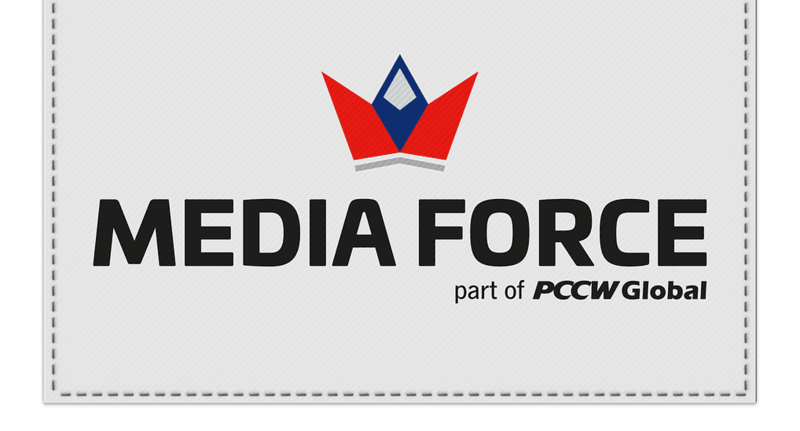 If your site isn’t yet on the Media Force network, have a chat with your site commander and get him to give us a call. How do I sign up for Media Force? Firstly, check that your site is listed on our locations page. Most of our sites have a Wi-Fi network. Just look for “Media Force” in the list of available wireless networks. Simply click to connect, open your browser and follow the onscreen instructions to sign up for a package. Most sites currently have a choice of 8 Mbps, 24 Mbps and 48 Mbps product speeds. Some sites using the Tricomms service only have one or two products available, but don’t worry – they will also be upgraded to the same options shortly. Perfect for web browsing, email, instant messengers and social networking sites like Facebook and Twitter. Great for iPlayer, internet radio and YouTube. If you’re an Xbox or PS3 gamer, this is a great choice. Ideal for downloading movies and high definition content. Having this faster speed will be an advantage in online gaming. No. Unlike many other Internet Service Providers, Media Force will never ask you to sign a contract. There is no minimum contract term. You can purchase products from one day to one year. If you’re not going to be staying at your current site for very long, take out a short-term product. If you’re going to be moving between sites, then if the other sites have Media Force services, then buy a longer term product and use the same sign in details there. What's so good about the service? Media Force have installed fibre all over the sites where we provide service and brought in high capacity internet feeds from the nearest telephone exchange. Almost all users have a choice of cabled or Wi-Fi services in their room and your account can be used anywhere we provide a service. As well as that, we don’t restrict how much data you are able to download – it’s completed unlimited. Unlike most companies that advertise an unlimited service, we have no bandwidth cap and don’t restrict speeds at peak times. So, unless you’re abusing the service or have a virus, you’re free to use the Internet and download as much as you want. No. Media Force provides its users with full access to the internet. Our Acceptable Usage Policy ensures the network is used responsibly and enforces restrictions on access to illegal and illicit content via the network, actions or activities that may threaten the integrity of the network, abuse of the network through spam and similar applications, privacy infringement and other inappropriate activities. If you have a games console, smartphones or tablet you can add it to your account free of charge using the Account Management Portal. You do need to be a Media Force subscriber, so make sure you’re signed up first. Add extra devices to your account ensures they stay logged in when in range of a Media Force Wi-Fi network. Can I use my Media Force subscription at other sites? Yes. All Media Force subscribers can use their account at all other Media Force sites. Just check our Locations page for sites covered. Depending upon your site and the arrangements with Media Force, you may have free Wi-Fi in communal areas such as diners. You may also have Wi-Fi available in your room. Will I get the same speeds on Wi-Fi? Our speeds are not caveated by an ‘up to’ and we do our best to make sure that you get the speed stated for your account. If you are using a cabled point in your room, you will get the best possible speed. If you are using a Media Hub connected to the cabled point in your room, you will have your own private Wi-Fi bubble and you can allocate all your speed to your Media Hub. Any devices connected to the Media Hub (wired or wireless) will share this allocation of speed. If you are using a Media Force Public Wi-Fi service, it is not possible for us to guarantee those speeds as the Wi-Fi signal is shared amongst all connected users. Make sure you are connecting using 5GHz where available for the best possible speed. To access the Account Management Portal, just go to https://portal.mediaforceuk.com. I have moved to another site. Can I still use my account? If your new site has Media Force service, then you can continue to use your existing sign in details and use your Media Force account with no disruption. Please remember to update your contact details at the Account Management Portal once you have moved. You can upgrade your service at any time by visiting the Account Management Portal. If you need to cancel your account, just email support@mediaforceuk.com or give Customer Support a call on 0300 103 0300. Just contact Customer Support on 0300 103 0300 and they will do the rest. Alternatively, you can use the password reset button on the Account Management Portal. You will then need to go into your email to receive the new password. You can do this by simply contacting Customer Support or going to the Account Management Portal. I’m moving to another site which has Media Force. Can I keep the same account details? Yes you can. Just give us a call on 0300 103 0030 or email support@mediaforceuk.com when you get to the new site so we can update your contact information. How do I re-establish my account after moving base? Give us a call on 0300 103 0030 or email support@mediaforceuk.com and we will update your details. If you need to cancel your account, just give Customer Support a call on 0300 103 0300 and have your sign in name to hand. You can also do this by visiting the Account Management Portal. There is no notice period. We will just cancel the account on your next billing date. You need to be aware of your billing date and make sure you cancel before this date if you are leaving a day or two after the billing date. Otherwise, you will be charged again for a full month. You always pay in advance so you are never in a situation where you owe us anything. Yes, you can. For early cancellations, we will work out the refund by checking what the equivalent monthly package you would have been on and seeing how many months you have used the service for. Yes. You would need to contact Customer Support and request to cancel. Doing this would mean the account would cancel on the next billing date. Then, to re-activate the account at a later date, you should again contact Customer Support or visit the Account Management Portal and begin a new subscription through the same account. Can I share my account details with a friend? Unfortunately, you cannot do this – it is against our usage policy. If we find that you are sharing your details with others, then you will get a warning and if you carry on doing this, we may block your account. Unfortunately this is not possible. We could, however, take a payment from a friend or family member and you could pay them back. I have left the base but I’m still being charged. Can I cancel and get a refund? Cancellation occurs only when you notify us that you no longer wish to keep the account. Refunds are only given at our discretion and depending upon the specific circumstances. You will be able to access the network with multiple devices, as the MediaHub adds four wired ports. Your Wi-Fi signal will be guaranteed at the speed you choose. Your connection won’t be affected by other traffic. You can purchase a MediaHub by visiting the Account Management Portal or by calling Customer Support. How long does it take for a MediaHub to arrive? It will normally take up to three working days for your MediaHub to arrive. Yes. Our MediaHubs come with a 12 month warranty. See our MediaHub page for more details. A media access control address (MAC address) is a unique identifier given to devices that can connect to a wired or wireless network. You can usually find a device’s MAC address by looking for it on a label underneath the device or by visiting the network properties/settings for that device. Just visit the Account Management Portal and add the device there. You will need its MAC address. You can do this via the Account Management Portal. With Media Force, you can divide up your bandwidth allocation between devices. Simply add the device’s MAC address in the Account Management Portal and allocate an amount of bandwidth to it. Can I use my own router or access point? We cannot provide support for any equipment not provided by Media Force. For the best supported service, we recommend purchasing a MediaHub. You can contact Customer Support on 0300 103 0000 or email us at support@mediaforceuk.com. The speed I'm getting is too slow. To get the fastest speeds, you should always try to use the wired connection in the room. You should check your device for any viruses on your machine and the presence of any peer-to-peer programs. Using the Wi-Fi connection may result in slower speeds. This is because the wireless service is usually shared among all Media Force customers in a block. Each user has, on average, 2-3 devices connected to the network, and at peak times, this can cause a strain on the available bandwidth. A wired connection provides a personal in-room connection that is not shared with anyone else – this will guarantee the maximum download speed for the package to which you subscribe. If you are using the Wi-Fi connection, make sure you are connecting using 5 GHz where available for the best possible speed. If you have a wired connection in the room but you are connecting via a router, this could also cause slow speed issues. If a router is connected to the in-room data socket, we can only guarantee the speeds with a Media Force MediaHub, because they are specially pre-configured by us. Some third party routers can have problems reaching top speeds due to the way they are configured. We cannot help customers to configure third party routers or support the use of them if they are causing service issues. If you are connecting directly to the data socket with a cable or via a MediaHub and are still having problems with slow speeds, you should contact Customer Support. I'm being told that my device is already logged in. This sometimes happens if you are already connected with one device and the another device you try to connect has not been added to the account. This also sometimes happens due to power fluctuations at your site – if you are already logged in when a power failure occurs, the system will think you are still logged in. Make sure that all your devices, not only your Primary device, are added to your account. Do this by adding them through the Account Management Portal. If the problem persists, contact Customer Support. The internet speed isn't very good over Wi-Fi. To get the fastest speeds, you should always try to use the wired connection in the room. You should check for any viruses on your machine and also the presence of any peer-to-peer programs. If you are using the Wi-Fi connection, this may result in slower speeds. This is because the wireless network is shared between all Media Force customers in the block. Each customer has on average 2-3 devices connected to the network, and at peak times, this can cause a strain on the available bandwidth. With Wi-Fi, make sure you are connecting your device using 5 GHz where available for the best possible speed. The wired connection provides a personal in-room connection that is not shared with anyone else – this will guarantee the maximum download speed for the package to which you have subscribed. My Wi-Fi signal/coverage isn't very good. You may have interference from other electrical devices in the room which cause this. Try accessing Wi-FI from different parts of the room or building and get back to us so we can get our technicians to look into this for you. I am not able to access the internet using ethernet. It says "Error. You are already logged - access denied". This can sometimes happen when you switch between a wired and wireless connections. It can take up to 10 minutes of inactivity on the first connected network before the system will allow you to log in using the other network. It is advisable to try sticking to the same connection method the majority of the time. You can call Customer Support and we will end the active sessions on your account. Then you can log in again.